The Aquidneck Island Planning Commission (AIPC) Board of Directors announced the appointment of John F. Shea as Executive Director in a statement to media this afternoon. The AIPC said, "John Shea brings expertise in a wide array of policy areas, non-profit management, and addressing concerns at a regional-scale." Shea most recently served as the Executive Director of the New Hampshire Fiscal Policy Institute, a non-profit economic and fiscal policy think tank in Concord. Prior to this, he served as Head of Policy & Economic Advisor to the Falkland Islands Government and established his own company to promote renewable energy investment in New England. The bulk of his career, the AIPC noted, was spent at the New England Governors’ Conference, Inc. (NEGC), a non-profit policy organization whose Board of Directors consisted of the six New England state governors. 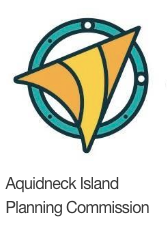 As Executive Director, Shea will work with AIPC’s Board of Directors, island municipalities, and other stakeholders to identify the areas of work and focus where AIPC can provide the greatest value to Aquidneck Island, while ensuring the continued growth and financial stability of the organization. John Shea holds degrees from the University of Michigan and Harvard University. He will formally assume his new role as executive director for AIPC on April 2nd. “We are pleased that John has chosen to live and work on Aquidneck Island," said Adams. "Please join me in welcoming Mr. Shea at AIPC’s third annual Newport County Legislative Forum on April 5th."